Comfortable – equipped with the GROHE Carbodur® technology (only for 180° rotatable handles) this Basin mixer ensures effortless precision and lifetime of maintenance-free comfort. To avoid the faucet from damages flush pipes thoroughly! Fit pop-up waste set (28 915), Seal plug-hole rim! For this purpose the side valves must be connected to the supply lines. Open cold and hot water supply and check connections for water tightness. Operation with low-pressure displacement water heaters is not possible! If static pressure is greater than 5 bar, fit pressure reducer. 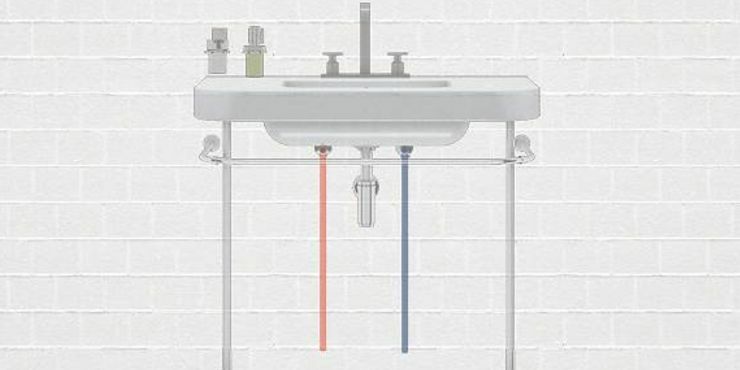 Avoid major pressure differences between cold and hot water supply.